Lumbar epidural injection is used to treat lower backache with leg pain and inflammation in that area. This injection is widely recommended by physicians to treat sciatica and to identify back problems cause of the pain. The injection has diagnostic as well as therapeutic value. The injection is given with fluoroscopic guidance (x-ray) precisely over the problem area. A local anesthetic is used for numbing the skin. 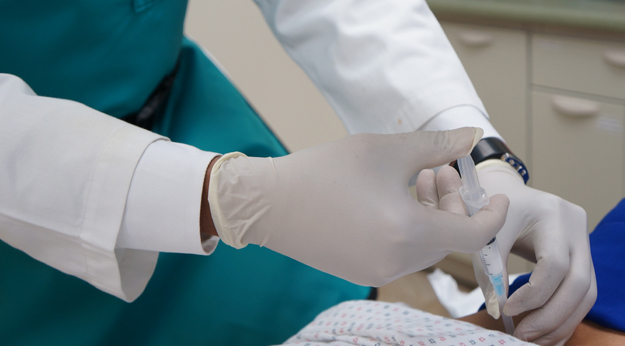 Sometimes, you may need intravenous sedation and our physician will advise and discuss if it is necessary. The first thing that a lumbar epidural injection can help you with is getting you back on your feet. As it contains corticosteroids, you will find yourself free from any inflammation/pain in the buttock/ hip, the lower back or your legs. With you standing upfront and moving with ease, the recovery process is provided an instant boost. After the session you might find temporary side effects such as increased back pain for a few hours. The side effects should go away in a matter of a day or two and you should be able to function with ease.